The learning curve for incoming submersible pump operators has never been steeper. Updates in pump design and new techniques for installation have had a domino effect on both inspection and maintenance—not to mention the ever-present innovations in control and monitoring systems that make today’s submersibles the most efficient and effective the market has ever seen. 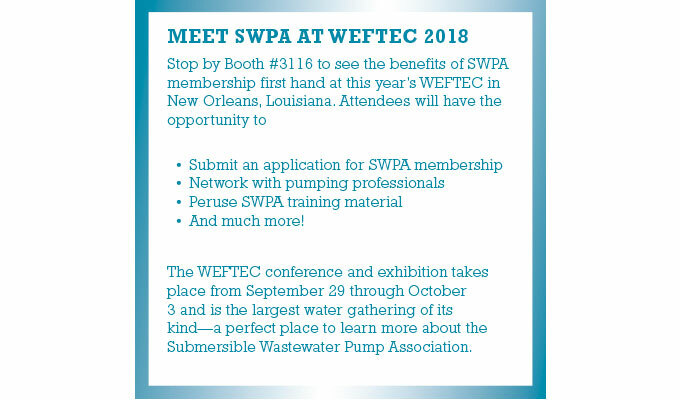 Helping lead the way in the training and education needed to prepare the next generation of submersible pump operators, the Submersible Wastewater Pump Association provides numerous resources and events of immense value to today’s pump professionals. In this month’s SWPA Insight, SWPA Executive Director Adam Stolberg outlines some of the challenges facing today’s technicians as well as the opportunities to embrace the industry’s future. How has online training boosted the preparedness of pump professionals who are just entering the field? As SWPA continues its mission of forging the future of the submersible wastewater pump industry, we have recognized the need for online training as an additional resource. Through our website at www.swpa.org, we are utilizing a variety of training opportunities to help boost the preparedness of pump professionals who are entering the field. Later in the year we plan on adding some “how to” YouTube videos as well. Of special interest to technicians, the webinars can also be used for the purpose of obtaining Continuing Education Units (CEUs). What training areas would you recommend incoming professionals focus on in the submersible wastewater pump field? Today’s professionals are depending more and more on remote technology. Problem solving without actually being on site. Online diagnostics, alarms, and adjustments—all without necessarily being at the pump station. In that regard, SWPA’s online training is a helpful tool to prepare technicians for this virtual environment. In addition, efficiency of not only the pump, but the entire system is key. What tips can you provide for maximizing one’s benefit from an online CEU course, like SWPA’s webinars? The online CEU courses provide flexibility. In today’s busy world that is key. Many of our webinar participants earn their CEUs outside of normal business hours, at a convenient time for them. Digitizing content allows todays professionals access and solution anytime, anywhere. We offer webinars on a variety of topics, from Introduction (100 Level) to Advanced (200 Level). These webinars are free for the end user and last anywhere from twenty to sixty minutes each. We also are developing an “Ask the Expert” section, which will have about fifty commonly asked questions for professionals to go to and seek help. How important is the role of professional organizations like SWPA in shaping the next generation of submersible pump professionals? 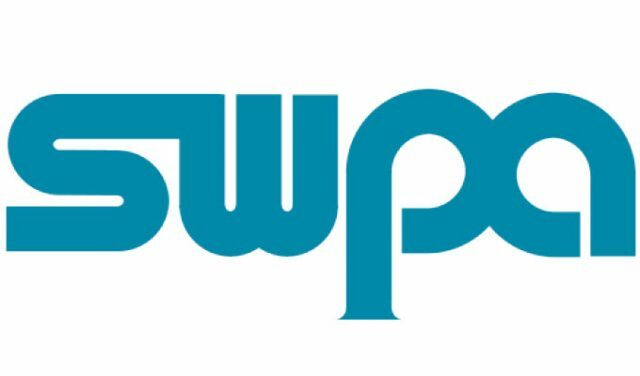 A professional organization like SWPA plays a very important role in shaping the next generation of submersible pump professionals. Our goal at SWPA is to educate the industry, and that includes informing students of the opportunities in this exciting, growing field. We often invite students to our live two-day Pumping Systems and Controls training. Furthermore, SWPA’s Submersible Sewage Pumping Systems Handbook is part of the curriculum at several colleges. In addition, SWPA awards two $1000 scholarships every year to college students in the engineering field. In order to be considered, students must submit their transcripts, be referred by a current SWPA member, and write an essay as to why they want to join our industry. Our live two-day training also gives professionals the opportunity to hear real-life situations, to get peer-to-peer knowledge transfer, and to interact with industry professionals. We also offer hands-on problem-solving seminars that deal with real-life situations and allow collaborative discussions to approach a solution. Also, the two-day seminar provides up to twelve hours of CEUs, so it is a great opportunity for both new and veteran professionals.